The Golden West College Theater Arts department is holding auditions for HAIRSPRAY, the Broadway musical on Tuesday, February 14 and Wednesday, February 15 at 7:00 pm. Auditions will be held at the former KOCE Studios at Golden West College, 15751 Gothard Street at Center Avenue, Huntington Beach. Enter the campus from the Gothard Street side at the marked Amphitheater entrance. Parking will be free for these auditions in the Gothard Street student parking lots only. Performers of all ethnicities and racial backgrounds are encouraged to audition. 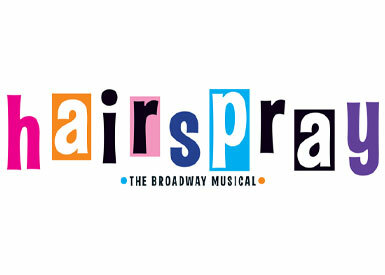 HAIRSPRAY is, after all, a musical about not judging books by their covers. Rehearsals begin on Monday, March 6 and are scheduled for Monday thru Thursday evenings from 7 pm until 10:30 pm. Cast members are called to rehearsals only when needed. If cast in this production, adult actors must enroll in a 2-unit college course. Some guest artist exemptions are available. Winner of 8 Tony Awards including Best Musical, HAIRSPRAY is a family-friendly musical event piled bouffant-high with laughter, romance, and deliriously tuneful songs. It’s 1962 in Baltimore, and Tracy Turnblad, a big girl with big hair and an even bigger heart, has only one desire — to dance on the popular Corny Collins Show. When her dream comes true, Tracy is transformed from social outcast to sudden teen celebrity and must use her newfound power to dethrone the reigning Teen Queen, win the affections of heartthrob Link Larkin, and integrate a TV network — all without denting her ‘do! You can’t stop the beat in this big and bold musical about one girl’s inspiring dream to dance. All roles are open. Auditions are open to everyone. Performers do not have to be enrolled Golden West College students to audition. A detailed audition notice, additional information and ticket information can be found at www.gwctheater.com.